Caffeine does more than just wake you up, it also acts as a cognitive enhancer, making it a typical part of a nootropic stack. Caffeine is not considered to be a nootropic by itself because it is just a stimulant. Even so, there has been plenty of research that shows it improves mental function and performance. Outside of being the most popular legally available psychoactive drug on the market, caffeine is also a xanthine alkaloid compound. It works to stimulate the central nervous system to provide a temporary boost to alertness. There are plenty of natural sources of caffeine. It can be found in the beans, fruit, and leaves of over 60 different plants. It’s because of this that you may be consuming more caffeine than you think. It could be in something without you even realizing. Sometimes it isn’t even listed as caffeine and may be listed as guarana berries, cocoa, chocolate, mat, kola nut, camilla sinensis (the leaves used to make tea) among others. Caffeine is also found in a range of diet products and weight loss supplements along with energy drinks. It may even be included with analgesics to help with the treatment of headaches. Caffeine anhydrous is found in both pill and powdered forms ready to be stacked with nootropic supplements for extra energy, concentration, and wakefulness. The primary effect of caffeine is that it acts as a replacement to the chemical adenosine. Adenosine is used by the body to ensure that the nervous system doesn’t get overstimulated and start running out of control. It’s believed that caffeine is able to mimic the effects of this chemical, but that it does so in reverse. The main thing to remember about caffeine and adenosine is that, when the two of them attempt to target the same chemical receptors, caffeine will always win out. Given that caffeine will target the same receptors, it serves to enhance the stimulating effects of nootropics on the central nervous system and brain. This can lead to an increase in the release of important neurotransmitters, in particular dopamine. Dopamine is a potent brain chemical that is said to activate the pleasure centers of the brain and regulate functions such as attention and concentration. This dopaminergic affect of caffeine is the main reason that having some caffeine can boost your mood and leave you feeling focused. 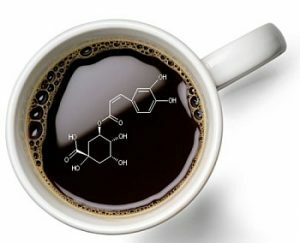 Caffeine actually improves the amount of dopamine circulating through your body in a similar way to drugs like cocaine and heroin, but obviously at a much weaker degree. Caffeine could hardly be considered to be on the level of drugs like that. One of the most interesting things about caffeine is that, no matter what source you get your caffeine from, it works in essentially the same manner. That means that someone who wants to supplement with caffeine could get it from coffee, tea, energy drinks, or caffeine pills and get the same benefits. Caffeine has a number of benefits, with the most well-known one being that it boosts mental and physical alertness. This benefit doesn’t last too long though, and the effects seem to work with diminishing returns; the second and third cups are never as potent as the first. The latest studies into caffeine (there are currently over 22,000 different studies on caffeine at the minute) indicate there are other health benefits of caffeine. Those who drank coffee on a regular basis were found to be 80% less likely to develop Parkinson’s Disease, suggesting that caffeine could play a role in protecting brain neurons. Caffeine amounts that equal around two cups of coffee a day has been shown to help reduce the risk of developing colon cancer by 20%, the chances of developing cirrhosis by 80%, and the chances of developing gallstones by up to 50%. Other studies have suggested caffeine can help to treat headaches and asthma and can boost mood. As caffeine may be considered to be a nootropic, it also has a range of benefits for cognition, mood, and memory. It’s impossible to deny that people tend to feel much more alert and alive after having their cup of coffee or an energy drink in the afternoon. It leads to improved memory, concentration, and focus. There’s also evidence to suggest that regularly consuming caffeine may help to prevent Alzheimer’s Disease. The research into this potential benefit is still ongoing. It’s hard to estimate just what the average dose is among Americans. Caffeine is part of the Generally Regarded as Safe (GRAS) list published by the FDA, but everyone will have their own individual tolerance level to caffeine. It’s recommended that most people avoid consuming more than 300 mg of caffeine. This is around 3 or 4 cups of coffee. How much caffeine is found in other “supplements” such as energy drinks can vary between drinks and supplements. Make sure that you take a look at the label to understand how much caffeine is in the product. Also take note of the fact that your body may build up a tolerance to caffeine, which is why you should consider cycling it if you make it a part of a nootropic stack. While caffeine is generally tolerated well by most healthy adults, there are still some side effects associated with long-term use of caffeine. Getting more than 300 mg of caffeine regularly can lead to irregular and rapid heartbeats, as well as trouble sleeping. Caffeine is known to have a half life of around six hours. That means that if you were to drink a big cup of java – which has around 200 mg of caffeine in it – at around 3 PM, you would still have around 100 mg of the stuff in your system by the time 9 PM rolled around. Having that much caffeine in your body is going to mess with your sleep cycle, even if it doesn’t cause full-bown insomnia. It can cause you to miss out on that all-important REM sleep you need to stay healthy. There are also some concerns about developing tolerance for caffeine. There is even the chance that fatigue and depression can be heightened as caffeine starts to wear off. This is on top of the fact that it takes more and more caffeine to trigger the same alertness and wakefulness benefits the more tolerant you become to it. As is the case with anything in life, caffeine should be taken in moderation, particularly when added to a nootropic stack. Most people prefer to get their caffeine from green tea or stacking the compound with L-Theanine, a natural component of green tea. L-theanine, as a notropic supplement ingredient such as Piracetol, has been shown to prevent some negative side effects of caffeine use, particularly anxiety and restlessness, without taking away from the positive benefits. The best strategy for caffeine may be to avoid using it every day, and instead using it only as and when you need it. There are a number of potential health benefits that you should not overlook. Caffeine is known to help boost brainpower for a start. As long as you keep both the benefits and risks of caffeine in mind when using it, you should be able to enjoy all the positive things caffeine has to offer while avoiding the negative effects of overusing it.